Mobile App Developer: Mobile App Developers use programming languages and source code to create mobile application software that meets client requirements. 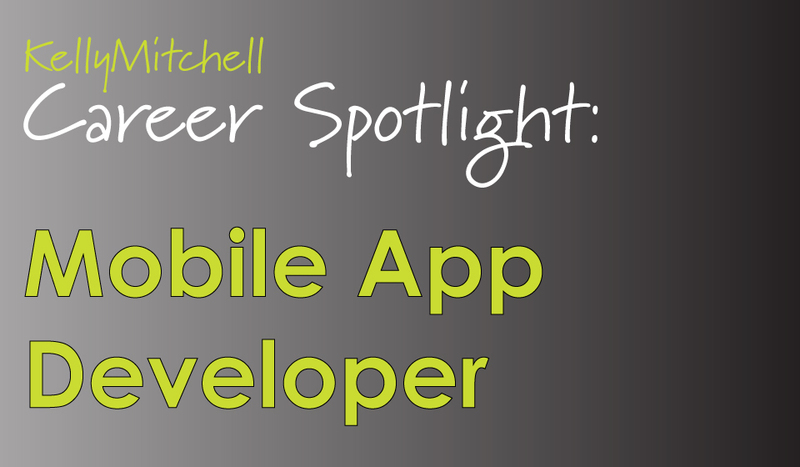 Responsible for developing source code for iOS, Android, iPAD, or Windows mobile devices. Acts as a technical expert in mobile application development to the project team. Works alongside project managers, product managers, marketing team members, game producers, app designers, and engineers. Many IT professionals with computer programming backgrounds are switching gears and learning mobile app development in order to take full advantage of the high demand for app developers. Here are some common terms and skills that are relevant to mobile application developers. App builds – The process of organizing and packaging the mobile app software code into the final mobile application product. Wireframes – Wireframes are a typical prototype methodology used by app developers and designers to depict their understanding of the client’s request. This will show navigation functionality and is often created with new app development. iOS SDK – iOS SDK is the platform used in creating mobile applications for iOS. Objective-C – Objective-C is the programming language app developers need to learn in order to perform native iOS development. Android SDK- Android SDK is the platform used in creating Android applications. Java – Java is the programming language most commonly used by Android developers. Windows Mobile – Windows Mobile is the platform used in creating mobile applications for Windows devices. C, C++ – C and C++ is the programming langiage most commonly used by Windows Developers. Object oriented programming (OOP) – Object oriented programming is a programming style that uses attributes and class assignments to determine the design interaction. Looking for an App Developer position? Check out our current openings!